Some go to the hills for rest and leisure; some for ghostly stories. At least that’s the experience of Kiran Manral. The idea for her fifth book, The Face at the Window, published recently by Amaryllis, came from a holiday in the hills. “There I began wondering how people could live such isolated lives, and that’s when the image of Mrs McNally, my protagonist, popped into my head,” says Mumbai-based Manral, the author of three earlier novels and a parenting book. The new book is part dark, part scary. But don’t say Boo! -Rupa Gulab, Author of Girl Alone, Chip of the Old Blockhead, The Great Depression of the 40s, I Kissed A Frog, Simi’s Mum’s Diary and Daddy Come Lately. In the whole welter of romance, intimate secrets and heady cocktail of emotions, experimenting with different genre of story- telling is always a refreshing and a welcome change. Journalist, columnist and author Kiran Manral has always believed in upping her game by brushing shoulders with various genres. The author’s fifth book is a work of fiction that explores themes of identity and belonging. Verve talks to Kiran Manral about her novel, current reads and happy endings. 1. Tell us something about The Face At The Window. Have the characters or events been inspired by people or incidents from your life? 2. Which character was hardest to create? 3. Your last two books were romance novels. What has the shift to a new genre been like? 4. Do labels affect you in any way? 5. How important is a happy ending in literature? Julia McNally is an old woman now. She watches her body degenerating slowly. It is gradually becoming harder for her to go about her daily routine. Her joints are creaking and she is besieged by ill-health. She is a retired schoolteacher and lives in a cottage on a remote hill-station along with her faithful retainers who take good care of her. There are caring neighbors that she can depend on. Her beloved granddaughter, Nina, studies in a boarding school close by and visits her whenever she can. Despite all appearances, Mrs. McNally is not at peace. She is beleaguered by her past. There are secrets she has that she has not shared with those closest to her, her daughter Millie and her granddaughter Nina. Surely they need to be told things from her past that affect them as well. While she is mulling over these thoughts, she finds ghosts from her past reach out to her. The Face At The Window is beautifully written. It takes some time for the reader to sink into the story, as most things are referenced to, but not explained. Once you get the drift, the story sails along smoothly. A lot happens which keeps you glued to the book. I grew fond of all the characters in the book. Mrs. McNally is the narrator and she grips our attention and our heart. Nina is a young teenager who is trying to learn about life. She is a happy go lucky child and does not have the angst that her mother and her grandmother suffered from. Dr. Sanyal who takes care of Mrs. McNally’s health, Sumit the author, who lives close-by and is writing a book, Bimla and her husband who are Mrs. McNally’s retainers, Col. Dayal, a neighbor that Mrs.McNally depends on, all these character flesh out the book nicely. Not all of us are destined to a clear identity. Right from the birth of a child, the parents are around, the family is at hand to provide a child with an unambiguous legacy. What of the orphans? The little babies who are discarded at birth to be brought up in orphanages? What goes on in their minds? Don’t they ever long to learn about their natural parents? What of the people who die in disgrace and are buried hurriedly, do they return as ghosts? 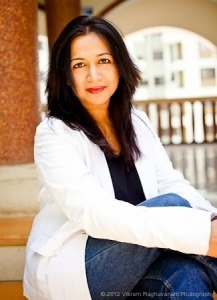 Kiran Manral has written books that cover all sorts of genres. All Aboard was a light romance as was Once Upon a Crush. The Reluctant Detective was a delightful book about a housewife who is drawn into solving a mystery. The Karmic Kids is about parenting. It is heartening to see a young author experimenting with so many genres and coming up with this lovely tale where the main protagonist is a 75-year-old woman who has an unusual story to tell us. The ending will blow you away. Team ItemMom decided to chat up with various ItemMoms in this section. To get the ball rolling on ItemTalks we thought who better to start our journey with than Superwoman Kiran Manral. She worked as a journalist with The Times of India and The Asian Age. Kiran was among the top bloggers in India, before she moved on to writing fiction. Her earlier novels include The Reluctant Detective, Once Upon A Crush and All Aboard. She has also recently authored a book on parenting titled Karmic Kids: The Story of Parenting Nobody Told You. Her forthcoming book, The Face at the Window, is due to be released at the end of Feb 16. She lives in Mumbai with her family and struggles with a serious Nutella addiction. She currently works in qualitative market research. Q. Whom did you read the most when you were growing up? Enid Blyton, Roald Dahl, and of course the classics; I read a lot of Sherlock Holmes and Miss Marple as well. I think the best thing that happened to me was that I was an indiscriminate reader, and read anything and everything that came to my hands. I had a pile of Amar Chitra Kathas that was taller than me at one point of time. Q. All your books can be divided into different genres. How do you choose which genre to venture into next? I don’t think I choose the genre, the genre chooses me. I just write the book making the most noise in my head at that particular moment. Q. What can the readers expect from your latest venture? My most recent book, Karmic Kids : The Story of Parenting Nobody Told You is a wildly funny account of the raising of my son, from year one to year ten. It is based on my very popular blog, Karmic Kids, which was among the top parenting blogs in India, which I shut down when he turned ten. It is humourous, poignant, emotional, practical and never preachy. I also have other moms and experts weighing in on various topics within the book. My next book, The Face At The Window, which is being released at the end of this month is a darker, grimmer tale about a retired school teacher living at the foothills of the Himalayas, who is trying to wind up the skeins of her life, while waiting to die. She is also, scarily, being haunted by a very vicious entity. Q.Amongst all the contemporary Indian English authors, whom have you read and who is your favorite? So many wonderful authors, Chitra Banerjee Divakaruni is definitely one of my favourites, as are Rupa Gulab, Annie Zaidi and Shinie Antony,( I was just recently introduced to her writing and fell completely in love with). I also love Mahesh Rao’s writing. Q. It is one of the most debatable topics that can a woman have it all? Like being a winner in professional, personal and social world at the same time? What do you believe in? I would say why we want to have it all. Neither men nor women can have it all, so no point in killing ourselves trying. I am naturally very laidback so I would say be judicious of what you prioritize–and give your all to what you do. Having it all might be utopian, but giving something your all can be very emotionally satisfying and give you purpose, whether it is your work, your home, your children. And having said that, I think women multi task naturally, we can do much more if we put our minds to it. Just prioritize and learn to say no. Do what is important to YOU. Don’t feel guilty about putting yourself first. Of course, don’t shirk responsibilities but spreading yourself too thin trying to please everyone will only make you the most resentful person ever. When you do what is important to you, you will be happy. And that is the most important gift you could give yourself. Q. You have done it all…a Parent, Spouse, Journalist, Blogger, Mentor, Author, Advisor… so what’s next? All? No, there’s lots more to come. Grandparent. Retired Person. etc. Connect with her @kiranmanral on twitter. Her first book was titled The Reluctant Detective (Westland, 2011), followed by One Upon a Crush ( Leadstart, 2014) and All Aboard (2015), and a nonfiction book on parenting called Karmic Kids (2015). Her next book is titled The Face At the Window which is scheduled to be released in 2016 February. She has published each of her books with a different publisher, she has changed publisher because of a variety of reasons. Timeline of publishing is one of the factors. Her forthcoming book, The Face At The Window, will be published by Amaryllis. Kiran decided to step back from her career in journalism when she decided to have a child, She took up freelancing assignments from there on. Blogging was her way of expressing herself- she started blogging in 2004 or 2005. She likes to describe herself as a storyteller than a writer. By nature she feels she is very introverted, but she relishes the world of book marketing. According to her book promotions particularly for fiction is a necessary evil. Kiran plans her travel so that she is not away from home for more than 2 days a week. She has good family support system that enables her to stay away from home. She has a presence on facebook, twitter, tumblr, blogs, instagram and youtube. She tries to reply to every comment or tweet. She has started rationing her time on social media recently. Kiran’s appearance on MyKitaab Podcast was her first podcast interview. She likes audio as a means of communicating with the audience, and will consider publishing audio version of her books in the future. Her next two books Once Upon a Crush and All Aboard, are in chic lit category. Kiran is a fan of the Bridget Jones Diary series. Kiran does not see that working with a different publisher for each book is a challenge. It does add complexity to the publishing and marketing plans, but with planning, this challenge can be overcome. Kiran considers Stephen King as her role model in writing, who has also written in multiple genres. While she has been a traditionally published author, Kiran is considering to publish one of her future books independently. Her publisher ran a promotion for Once Upon a Crush in 2014 through Newshunt, which received a lot of media coverage. According to her, translations is a tricky area. Particularly in humor, the language plays an important role in conveying the message. Amar recently came to know about the Marathi language translation of Pride and Prejudice, written by the author/ translator in 1905. This is an example of a transposition or a transformation, not necessarily translation. Kiran would like to recommend a book called Tiny Beautiful Things by Cheryl Strayed , which is a compilation of her columns that the author wrote as an agony aunt and dear sugar for a magazine. P G Wodehouse is one of her favourite authors. Given a chance, she would like to consider Aunt Agatha as a protagonist for one of her future books. Kiran’s advice to authors: they MUST read, words are the tools of the trade for authors. To write one page, one should have read atleast a thousand pages. Being a mother is one thing, being an author-blogger-entrepreneur mother is another. And doing it all in style? That just makes our jaws drop. A former journalist with India’s biggest newspapers, Kiran Manral quit full-time work to raise a son and went on to set up her own content supply firm. One of the leading mommy bloggers in India, she has a huge fan following on social media, where she talks about her trysts with parenting and shares her views on gender issues. She’s also on the planning board of the Kumaon Literary Festival and an advisor and mentor on several other platforms for women. If that was not enough, she has also written four books, and is all set to launch her fifth one. While her earlier fiction was about youth and romance, her new one, ‘The Face at the Window’ (Amaryllis) is a gently nuanced, layered story that deals with the lack of identity and an eternal finding of self. We asked Kiran to share her favourite looks from her recent public appearances. Scroll down for them all. 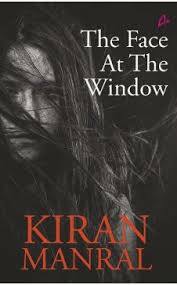 Kiran Manral, Mentor at SHEROES tells us a little about her new book – The Face at the Window today. The Face at the Window is a book that is a looking-back at a life lived, at the end of it. It is the story of Mrs McNally, a retired school teacher, living alone in a cottage at the foothills of the Himalayas,who grapples with ghosts from her past, but also a strange, vicious presence in her house that seems to want something from her. It is a gently nuanced, layered story that deals with the lack of identity and an eternal finding of self, and holds a mirror to the fears we are all afraid to voice, the fear of ageing, the fear of not belonging, and above all, the fear of having no one to love you at the end of your life. How did the inspiration of the story come about? I was on holiday in Kumaon, at Te Aroha in Dhanachuli to be specific, when from my window I saw in the distance, smoke curling out from the chimney of a house that seemed far off, and isolated. I wondered what if someone had come out to such a remote place to live out the last years of their life, what would it be like, and the story evolved from there. Mrs McNally became that person, come to live out the end of her life in a remote place, and her last few months are what this book is all about. Who are the targeted readers for this book? I think anyone who likes to read would be my audience. I would find it very difficult to slot this book into a specific genre, targeted at a specific demographic, but I think across genders, any reader would find this book interesting, given that it deals with themes that are universal in nature. Any thoughts you would like to share about future books in progress? All still work in progress, nothing really concrete. I’m on a little writing break at the moment. Will get back to writing post March and let’s see what comes up then. One of the greatest failings I have is that I can plan nothing. I just write and whatever comes of it, does. So one just has to wait and watch. I have always been writing in different genres in a bid to shake myself out from getting into a comfort zone, and now I think I want to experiment by writing in a genre I haven’t tried before, but what that would be, I don’t know. I just have to wait for the character to come to me and build my story around him or her.